Klotman’s research interests are focused on the molecular pathogenesis of Human Immunodeficiency Virus 1 (HIV-1) infection. Klotman and her team demonstrated that HIV resides in and evolves separately in kidney cells, a critical step in HIV-associated kidney disease. Her research group also determined the role of soluble host factors involved in an innate immune response to HIV in an effort to improve prevention strategies, topical microbicides that could be used to block sexual transmission of HIV. Most recently, her group has been defining the role of integrase-defective lentiviral vectors for the delivery of an HIV vaccine. In 1994, Klotman joined the faculty at Mount Sinai School of Medicine in New York City, where she was a tenured professor of medicine and microbiology and associate professor of gene and cell medicine. She served as chief of Division of Infectious Diseases and as co-director of Mount Sinai’s Global Health and Emerging Pathogens Institute. 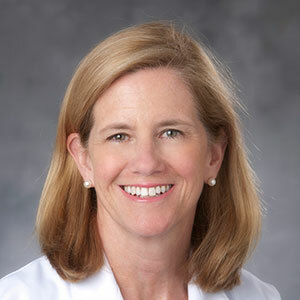 She returned to Duke in March 2010 to become chair of the Department of Medicine.